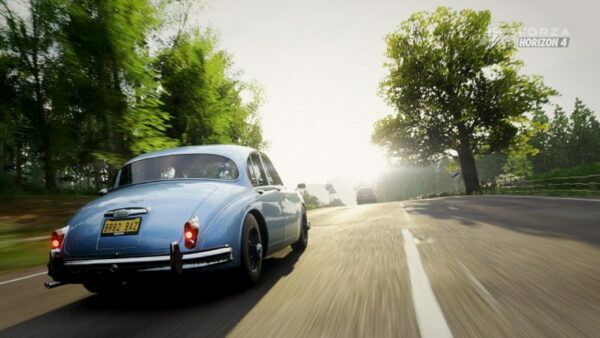 It hasn’t even released yet, but we now know more details on the first DLC for Forza Horizon 4. 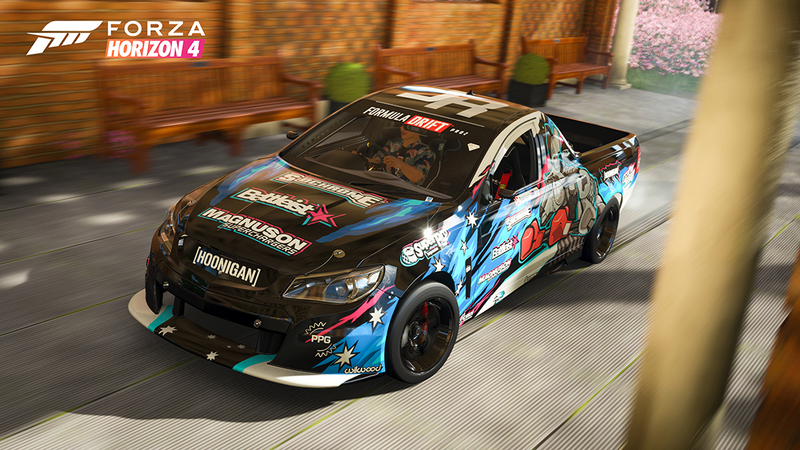 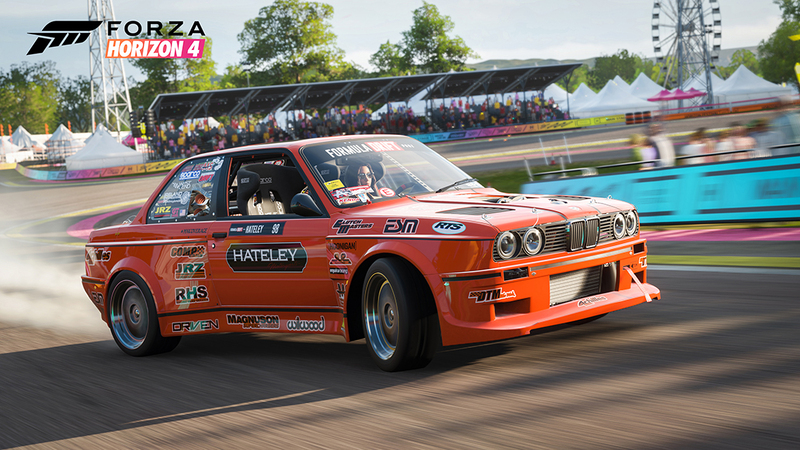 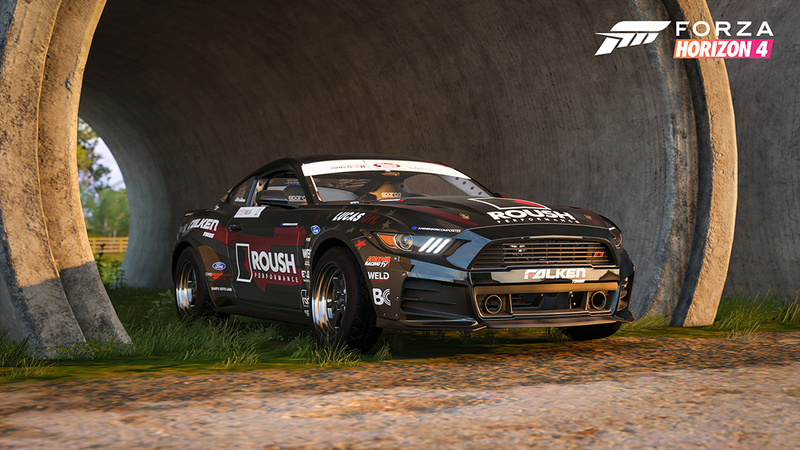 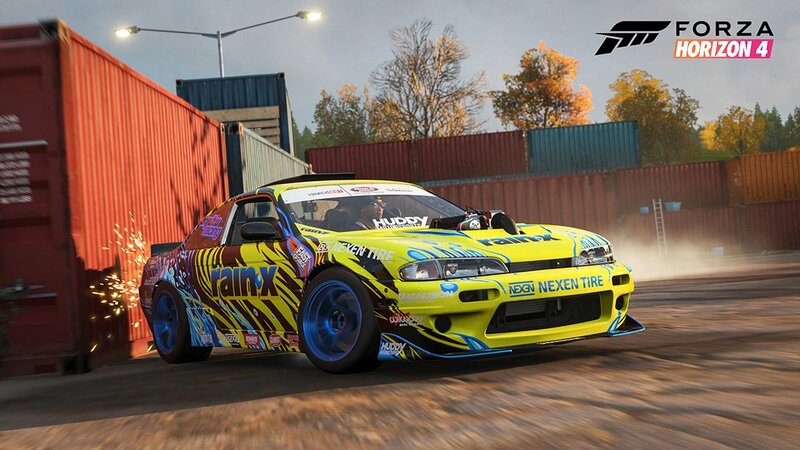 Dubbed the Formula Drift Car Pack, it’ll arrive alongside the game on October 2. 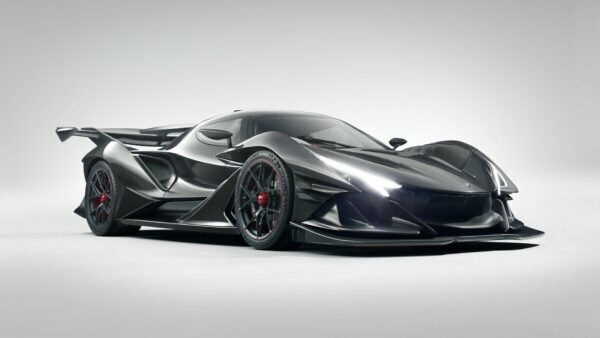 No, your eyes do not deceive you — there are three separate S-chassis Nissans in the pack. 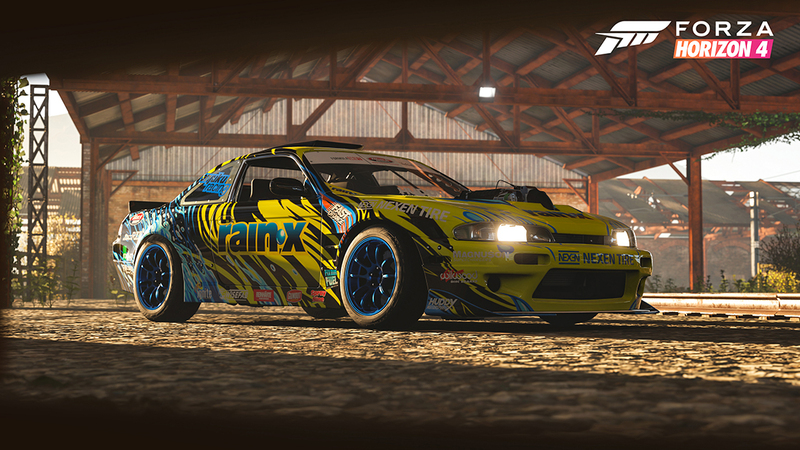 One of them is Corey Hosford’s personal ride. 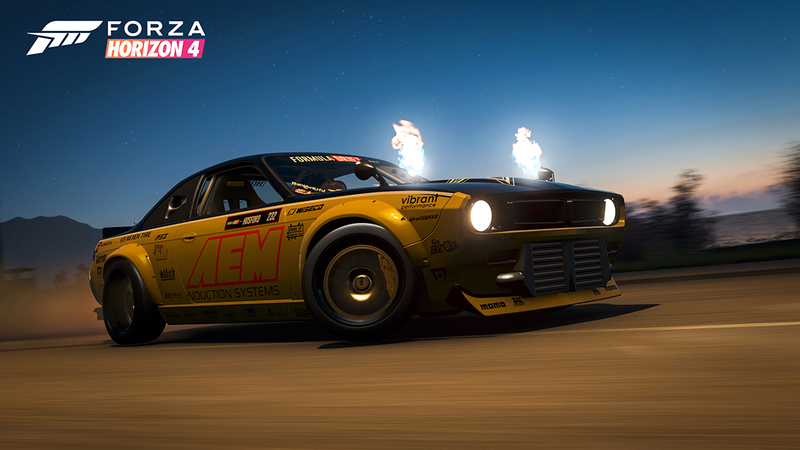 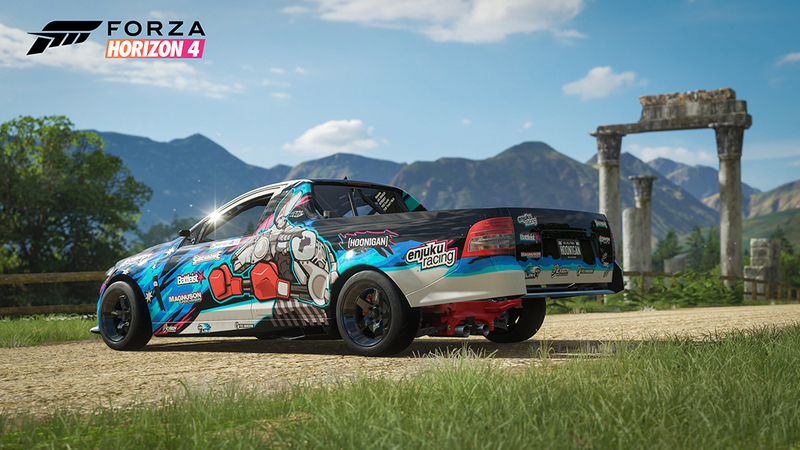 Long-time readers will remember he originally leaked the idea of a drift-themed pack way back in the early Horizon 3 days. 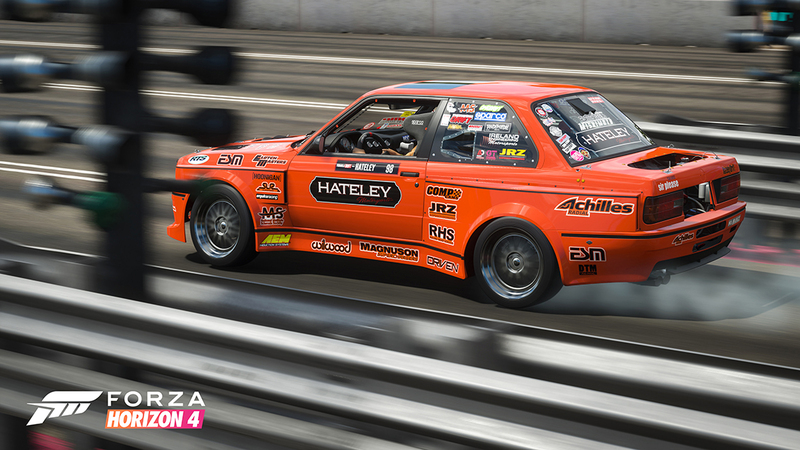 As it turns out, Hosford’s “BOSS14” was destined for this pack instead. 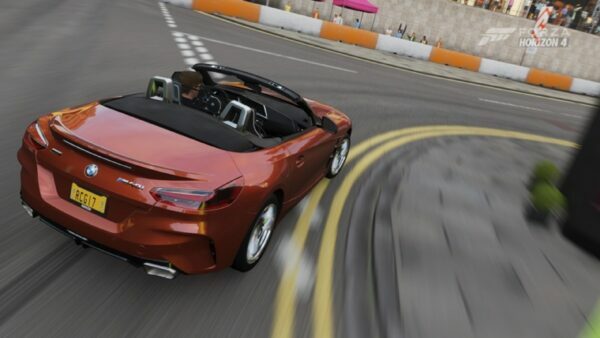 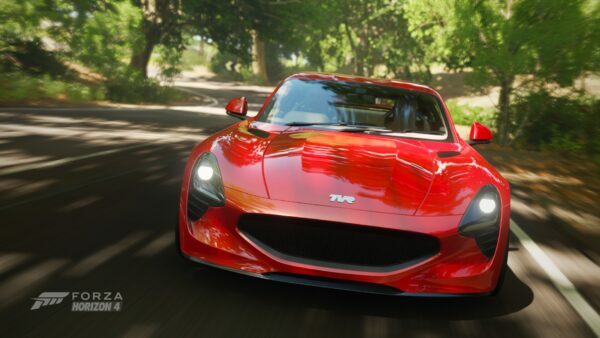 What’s more, the pack won’t only be showing up in FH4. 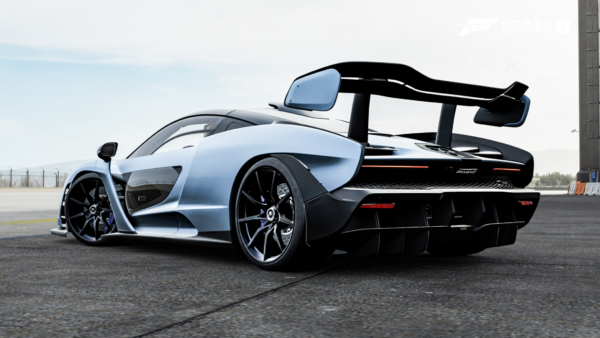 Those looking to tame these 1000hp beasts on a track will have the option to do it in Forza Motorsport 7 later this fall, too. 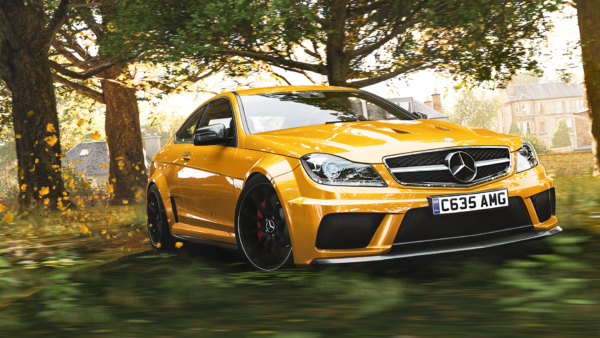 Any gamer that pre-orders FH4 digitally will get the pack in both games; first in Horizon, then in Motorsport. 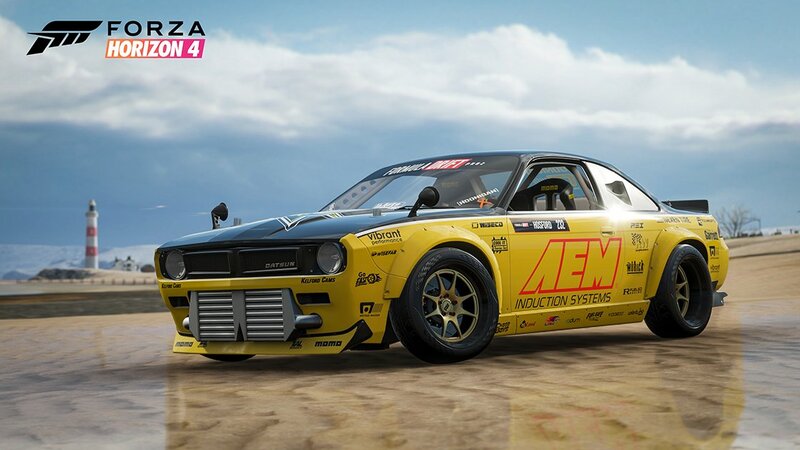 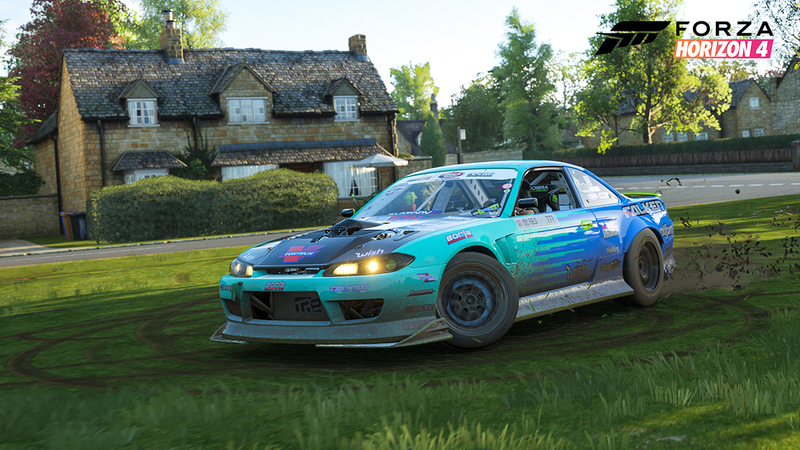 The Formula Drift pack complements the most recent FM7 title update. 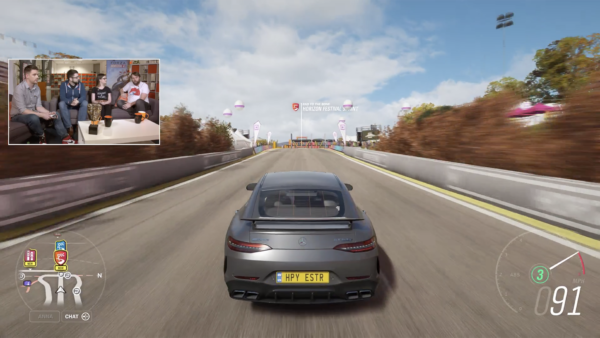 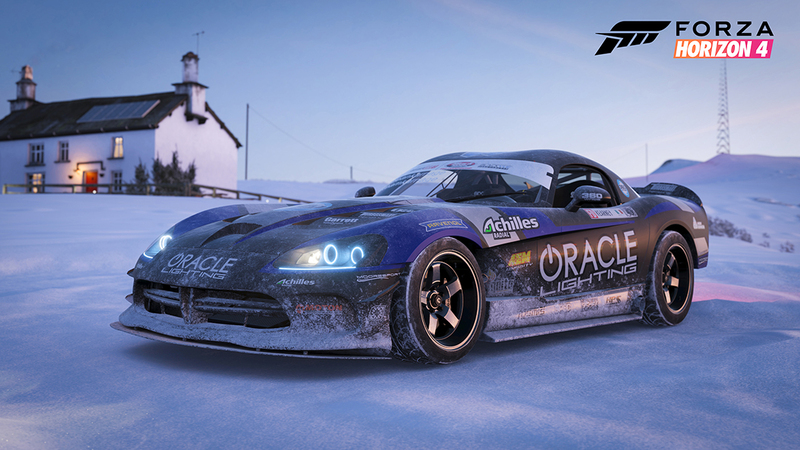 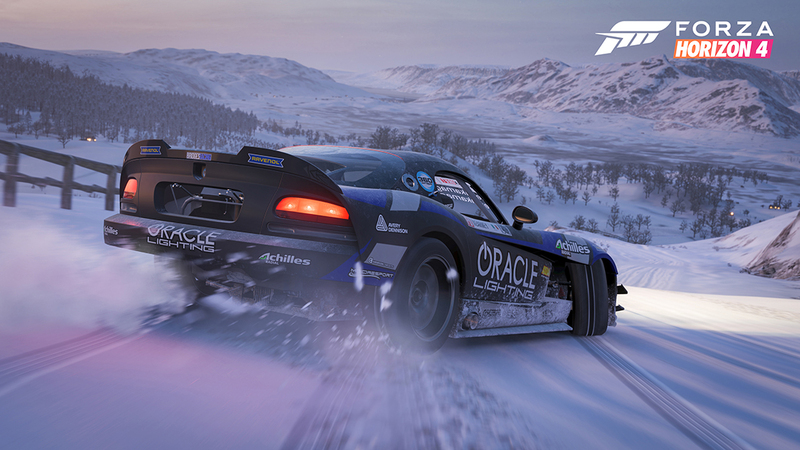 One of the main features there was a new drift suspension option, enabling players to crank up the steering angle on their own project cars. 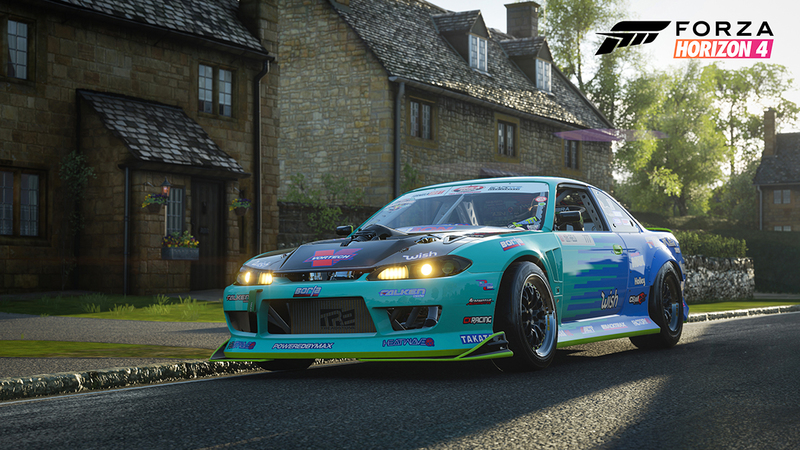 Forza Horizon 4 launches the same day as the FD car pack, on October 2. 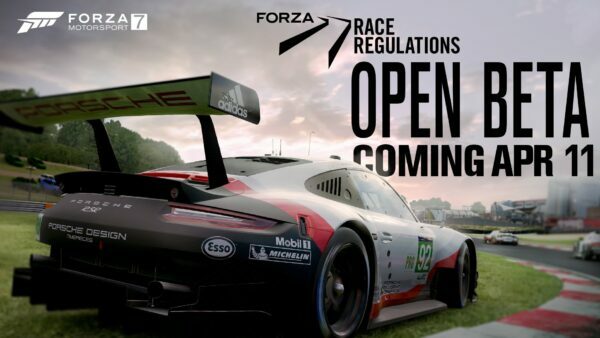 It will also be included in the Xbox Game Pass, starting from the same day.